Every working parent knows the challenge of swinging between diapers and work meetings. For new parents in particular, finding a balance can feel overwhelming. That’s why the university offers a range of supports to help you balance family and career. Whether you need help with child care logistics or social and emotional support from experienced colleagues, check out these resources to make the transition to parenthood a little easier. Under the university’s new parental leave policy, as of September 1, 2018, eligible faculty and staff may take paid leave following a child’s birth or placement for adoption, foster care or legal guardianship. Maternity leave is available to eligible faculty and staff upon hire, while parental leave is available after 6 months of service. 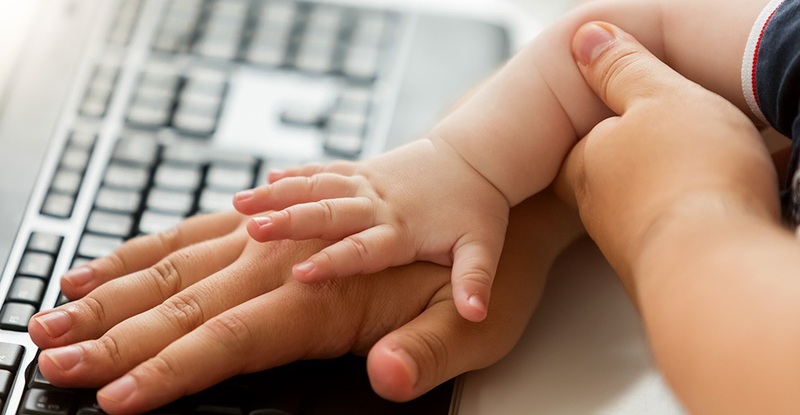 Learn more about these paid leave options for new parents. Research supports the many benefits of breastfeeding, and U-M supports moms who wish to continue to breastfeed after returning to work. Review these lactation resources from the Work-Life Resource Center to locate lactation room across campus, find information about equipment rental or purchase, print a privacy door sign, and learn more. Whether you’re looking for full-time or occasional child care assistance, browse child care resources to help your family find an arrangement that suits your needs and budget. The transition to parenthood and the accompanying changes in routine, relationships and responsibilities are very significant. If you would benefit from extra social and emotional support during this time, you’re not alone. For personal counseling and support, campus faculty and staff may contact the Faculty and Staff Counseling and Consultation Office (FASCCO) and Michigan Medicine faculty and staff may contact the Office of Counseling and Workplace Resilience. FASCCO also facilitates an ongoing support group for new moms at lunchtime on the second Thursday of the month (please note that pre-registration is required). Contact the Work-Life Resource Center for additional resources to help you balance family and work. For information about adding a child to your university benefits, visit Life Events.